Eylene Pirez is an adventure photographer and published physicist. She resides in California and recently completed her graduate degree in Physics at UCLA. She has worked on imaging systems on-board the NASA’s Cassini spacecraft, dark matter experiments and particle accelerator technologies for state-of the-art applications in several areas of scientific research. Eylene is the host of the Astrophysics eHow video series which has reached all continents of the globe. Eylene was born in Cuba and grew up under harsh political restrictions which has driven her passion for world travel and exploration. Practicing outdoor sports such as mountaineering allows her to travel to hard to reach locations and capture unique experiences. Eylene has led treks across the Sahara desert, summited some of China’s tallest peaks, backpacked through Iceland and many others countries. 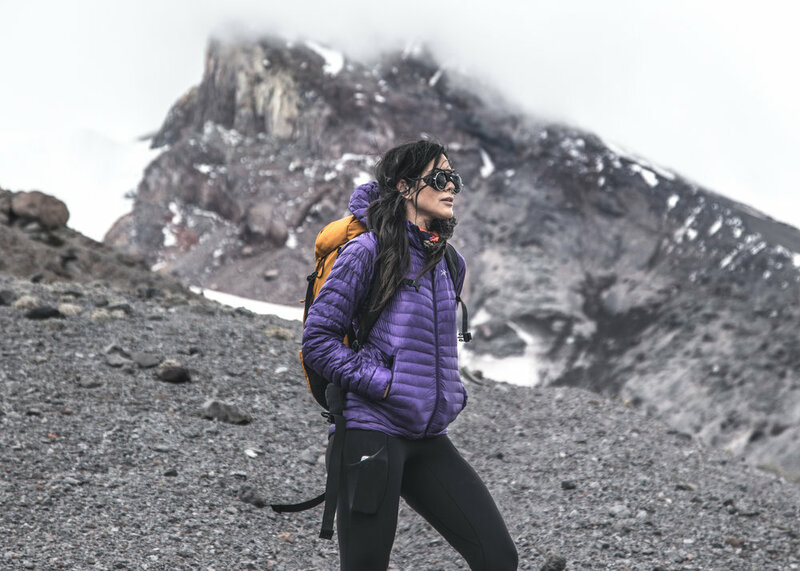 Known for her minimalist, solo travel style, she is also a leader and educator in the outdoors community. Eylene is the lead guide and organizer of SoCal's hiking and mountaineering club with over 300 members. She is also an Arc'teryx La Brea brand ambassador and plays a role in content creation and in-store events.